Today’s WIOW item is a little different to normal. Instead of clothes, shoes or handbags, I thought I’d switch it up with a little home furnishings. Oh how times have changed. 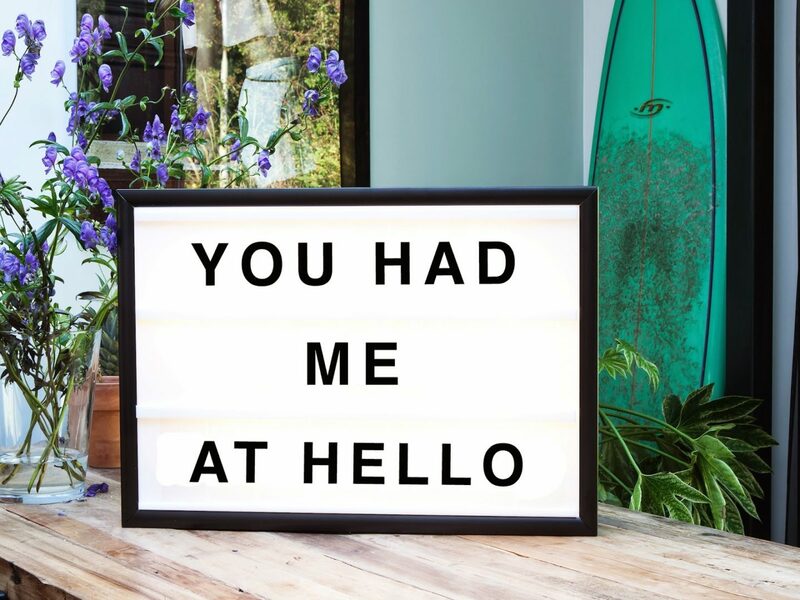 I can’t remember how I found Bxxlght, but I’m now obsessed with their range of light boxes. In particular, this one below. It’s a cute light box made from plexiglas with an aluminium frame and led light. The quote is perfect (ta Jerry Maguire) and I can kind of relate to mine and Al’s relationship. We’ve always known each other, with us both being in the same group of friends, and I always had a soft spot but couldn’t act on it. So in a way, I guess he had me at hello. So there you have it. A break from the norm and a little bit of inside goss on my love life. You had me at hello, £323, Bxxlght.